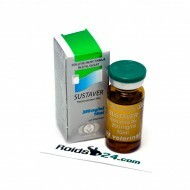 Sustaver is an injectable steroid made by Vermodje, its active substances are Testosterone Propionat..
Sustaged is an injectable steroid made by Euro Prime Farmaceuticals. 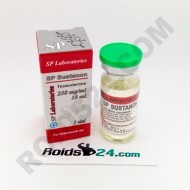 This steroid drug contains 250 ..
SP Sustanon is an injectable steroid made by SP Laboratories. 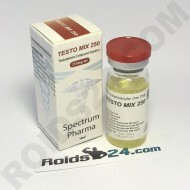 This steroid contains 250 mg per ml Te..
Test Mix is an injectable steroid made by Spectrum Pharma. 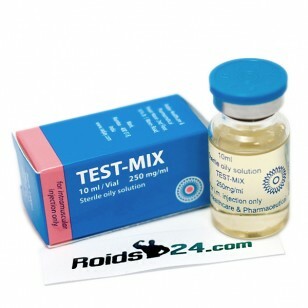 This steroid drug contains 250 mg per ml ..
TEST-MIX is an injectable steroid made by Radjay HealthCare & Pharmaceutical. This steroid drug contains 250 mg per ml Testosterone Propionate, Testosterone Phenylpropionate, Testosterone Isocaproate and Testosterone Decanoate. 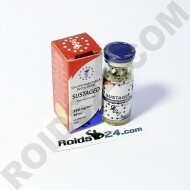 Copyright © by Roids24.com 2014.